Click here to support Kurtis by helping fund his trip to Eugene! Kurtis Marschall is our 24th Athlete to speak to us about making the 2014 IAAF World Junior Championships Team. 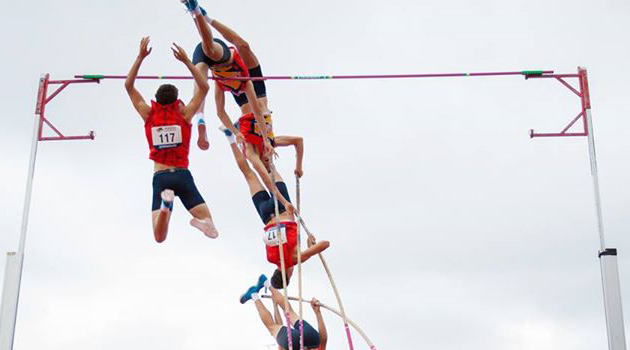 Members of the Spark Team will compete in Eugene (USA), from July 22nd to 27th 2014. Omg was over the moon! It was a lunchtime at school, I ran like a girl to tell mum who works at me school and told her the news! I have tried to keep things similar! I am following the same sort of plan that I did over Christmas up until junior Nats! It’s working fine for now! So keen to start competing again. The atmosphere of the competition! The people I will meet! And the friends and connections I will make! Surgey Bubka; pole vault outdoor world record holder!